Southern Pacific Railroad (1865-1996) – Founded as a land holding company in 1865, its original charter called for the railroad to be built through southern California through Arizona and New Mexico to El Paso, Texas. However, it later expanded to New Orleans, Louisiana. 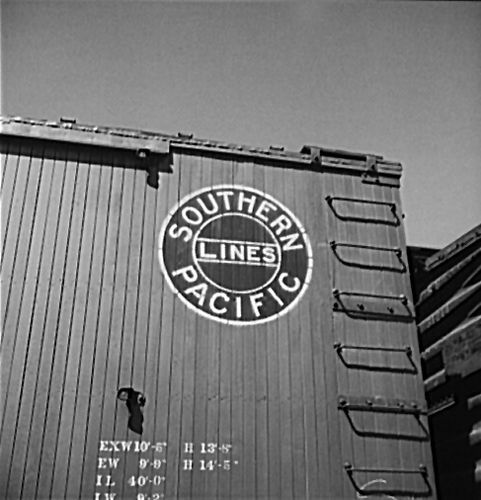 In 1885, Southern Pacific leased the operations of the Central Pacific Railroad, which technically remained a corporate entity until 1959 when it was formally merged into Southern Pacific. By 1900, the Southern Pacific Company had grown into a major railroad system which incorporated many smaller companies, such as the Texas and New Orleans Railroad and Morgan’s Louisiana and Texas Railroad. Through the years, the line expanded to more than 13,000 miles of rail covering most of the southwestern United States. On August 9, 1988, the Southern Pacific was sold to Rio Grande Industries, the company that controlled the Denver and Rio Grande Western Railroad. However, the railroad retained its name until it was taken over by Union Pacific in 1996.